The all-new Mazda6 has been recognised by the world's largest design competition, the ‘red dot design award'. In previous years, fashion and lifestyle brands such as Nike and Apple were among the ‘red dot' product design category winners. This year, the 37-head jury of independent design experts, who judged entries according to nine criteria, honoured the KODO-inspired Mazda6 for qualities such as its high level of design innovation and bold stance. The 2013 winners will be announced at the ‘red dot' design award presentation ceremony at the Aallto-Theater in Essen, Germany, on 1 July. It is yet another accolade for Mazda's striking new flagship and the company's "KODO - Soul of Motion" design theme. KODO is Mazda's award-winning design language for its new generation of vehicles. Inspired by the explosive release of energy observed in animals or athletes springing into motion, KODO symbolises Mazda's distinctive vitality and agility, providing the perfect complement for the company's convention-defying approach to fun-to-drive cars. Other prizes KODO has captured thus far include Auto Bild's 2012 European Design Award (Mazda CX-5, the first KODO model) and first place in the concept car category at the German Design Council's Automotive Brand Contest 2012 (Mazda Takeri). Based on the Takeri concept, the new Mazda6 - the company's second KODO model - features the full range of ground-breaking SKYACTIV technology to deliver Mazda's distinctive no compromise approach to performance and efficiency. Embodying the Sustainable Zoom-Zoom vision in its most advanced form yet, Mazda's latest flagship model delivers class-leading fuel economy, performance and safety. This latest award for Mazda's "KODO - Soul of Motion" design theme follows two recent accolades for the all-new Mazda6 including; ‘Best Upper Medium' title at the recentFleet News Awards,and for its good looks, fun driving experience and impressive levels of standard equipment, experts from theCarBuyerwebsite selected the all-new Mazda6 Saloon as their ‘Best Large Family Car' and Mazda6 Tourer as ‘Best Estate Car'. The all-new third generation Mazda6 was launched in January and is powered by the manufacturer's range of high-efficiency SKYACTIV engines, including two petrol and two diesel units mated to six-speed manual or automatic transmissions. Low CO2 emissions, which are critical to keeping company car-related taxes and operating costs in check, are among the many attributes of Mazda's unique SKYACTIV technology. 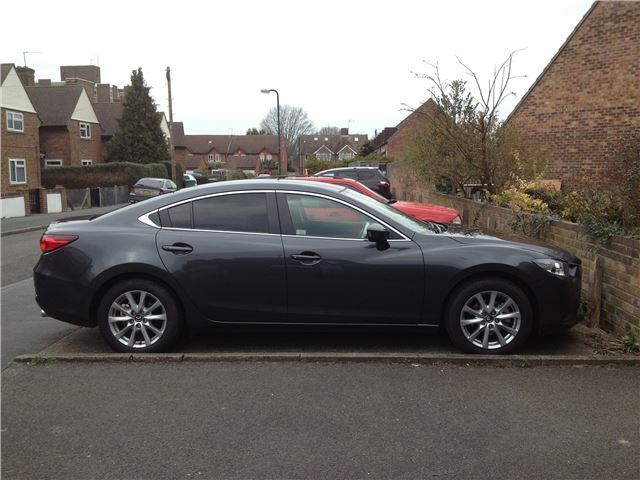 All-new Mazda6 priced from £19,595 to £28,045 (on the road). The 150ps 2.2-litre SKYACTIV-D Saloon diesel has class-leading CO2 emissions of just 108g/km and EC combined fuel consumption of 67.3mpg. Benefit in Kind tax for a 40 percent tax payer is £133 a month (Sport trim). Initiated in 1955 by the Germany-based Design Zentrum Nordrhein Westfalen, the red dot design award is one of the world's largest design competitions. Prizes are granted for product design, design concept and communication design. Mazda and other winners of the "red dot award: product design 2013", which saw 4,662 entries by 1,865 manufacturers from 54 countries, will receive their awards on 1 July at the Aalto Theatre in Essen. The products themselves have earned the privilege to bear the "red dot" symbol, internationally acknowledged as a seal of design excellence. I clicked More at Mazda and there wasn't anything else on this story. Have you got it wrong? I clicked on the link expecting more on this story and there was nothing. What's the point in it being there? Utter garbage as usual. Another story about Mazda. All this site has is biased stories about Kias and Mazdas. How much have they bunged you? this site is just press releases - rubbish.